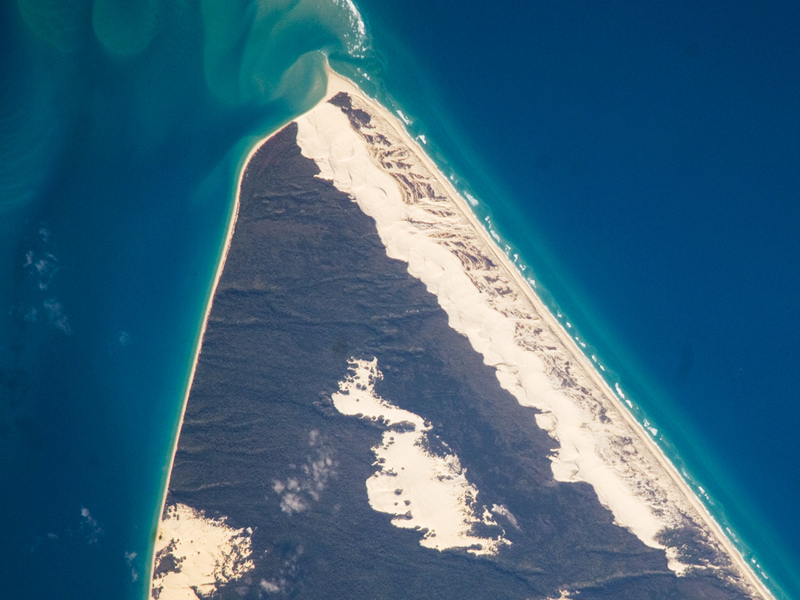 Fraser Island, the world’s largest sand island, is located along the coastline of Queensland, Australia, and it includes Great Sandy National Park. The island was designated a World Heritage site in 1992, in part due to its outstanding preservation of geological processes related to sand dune formation. The island’s dune fields preserve a record of sand deposition and movement related to sea level rise and fall extending back over 700,000 years. In addition to sand dunes, the island also preserves an interesting range of vegetation—including vine rainforest, stands of eucalpyt trees, and mangroves—and diverse animals, including crabs, parrots, sugar gliders, and flying foxes. This astronaut photograph highlights the northernmost portion of the island, known as Sandy Cape. Active white sand dunes contrast with dark green vegetation that anchors older dune sets. Irregular patches of sand dunes surrounded by vegetation are known as sand blows (or blowouts), formed when the vegetation cover is disturbed by wind, fire, or human activities. 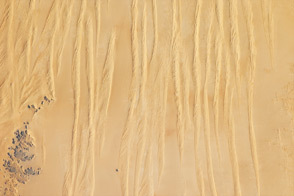 The exposed underlaying sand can than move and form new dunes, sometimes at rates of up to 1 meter/year. Coastal sand dune fields, such as the one located along the eastern side of Sandy Cape (center), will remain active until anchored by vegetation, or until no more sand is available to form new dunes. Astronaut photograph ISS017-E-16521 was acquired on September 15, 2008, with a Nikon D2Xs digital camera fitted with an 800 mm lens, and is provided by the ISS Crew Earth Observations experiment and the Image Science & Analysis Laboratory, Johnson Space Center. The image was taken by the Expedition 17 crew. The image in this article has been cropped and enhanced to improve contrast. Lens artifacts have been removed. 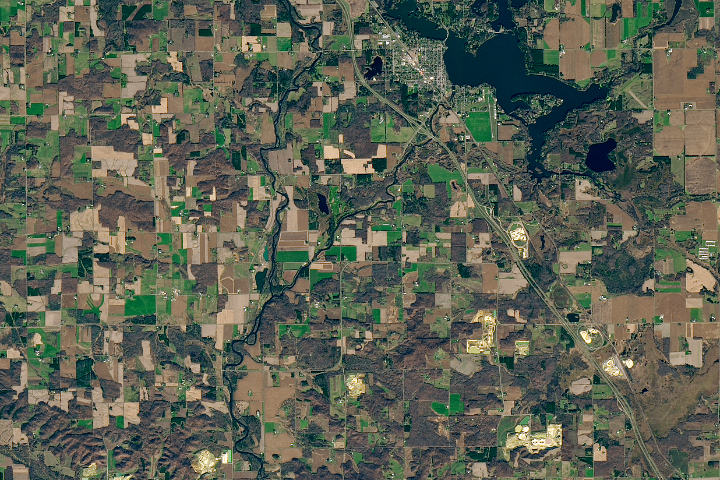 The International Space Station Program supports the laboratory to help astronauts take pictures of Earth that will be of the greatest value to scientists and the public, and to make those images freely available on the Internet. Additional images taken by astronauts and cosmonauts can be viewed at the NASA/JSC Gateway to Astronaut Photography of Earth. Caption by William L. Stefanov, NASA-JSC. Fraser Island, the world’s largest sand island, is located along the coastline of Queensland, Australia, and it includes Great Sandy National Park. The island was designated a World Heritage site in 1992, in part due to its outstanding preservation of geological processes related to sand dune formation.